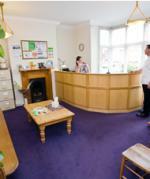 Appointments can be made either in clinic, at your home, school or nursery. Phone them on 0117 971 0221 to book an appointment and contact me to discuss your needs. Please visit their website for more information on the services available there. Before starting therapy please download, complete, sign and return this consent form. See here for information on my fees. I am happy to visit you, but do charge for my travel time (apart from LSVT). Phone me on 0117 230 6678 to arrange an appointment. Please email me with your postcode for my travel fee to come and see you. This is charged on top of my therapy fee. If you are unable to come to clinic I can, in some circumstances, treat you via video call. 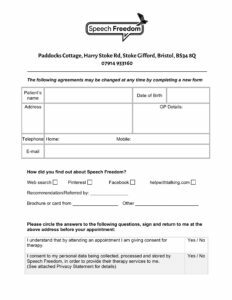 Please download and fill in this consent form before your first appointment.